File photo of Vice President Yemi Osinbajo. 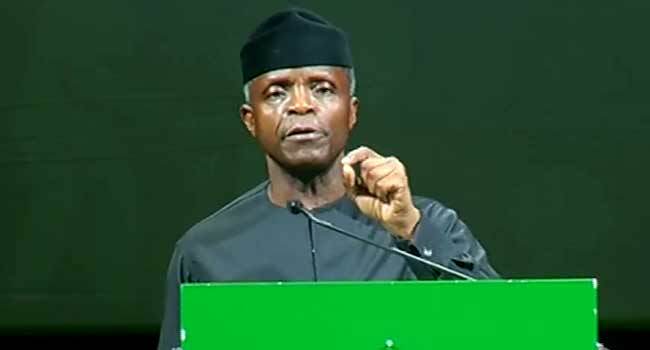 Vice President, Professor Yemi Osinbajo, has called on oil-producing African countries to think of a world beyond oil. He emphasised the importance of redoubling efforts at using oil and gas revenues to pursue diversification, investment in infrastructure and human capital, which according to him, will ensure future economic growth and development. The Vice-President said this on Monday while declaring opened the Extraordinary Session of the Council of Ministers of African Petroleum Producers Organisation (APPO). 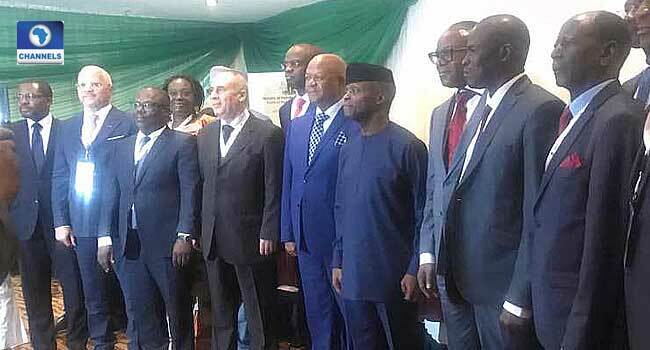 Vice President Yemi Osinbajo at the opening of Ministers of African Petroleum Producers Organisation (APPO) in Abuja on Monday, June 11, 2018. The event is organised by the Ministry of Petroleum Resources, Nigeria and is currently holding at the Lagos-Osun Hall, Transcorp Hilton in Abuja. The Vice President at the event also said Africa needs a united front in the global energy discussion. He asked that the APPO fund be opened to all, to allow private sector investments just like Organization of the Petroleum Exporting Countries (OPEC) in order to overcome financial challenges as Africa has no reason or excuse to fail. He underpins that a revitalised APPO will contribute tremendously to the development of the African Oil and Gas industry.